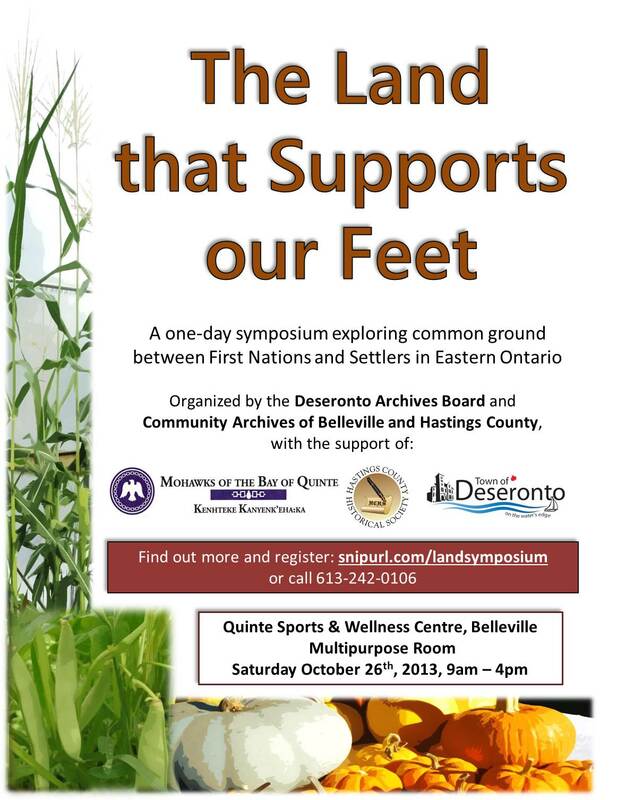 Registration is now open for a one-day symposium exploring common ground between First Nations and Settlers in Eastern Ontario. This event will include representatives of First Nations and Settler communities presenting information on historical perceptions of land and the importance of working together to come to shared understandings about its significance to us all. The event has been organized by the Board of Deseronto Archives and the Community Archives of Belleville and Hastings County, with the support of the Hastings County Historical Society, the Mohawks of the Bay of Quinte and the Town of Deseronto. There is no charge for the symposium but registration is essential – visit the booking page for more details. Read the media release [PDF] here.